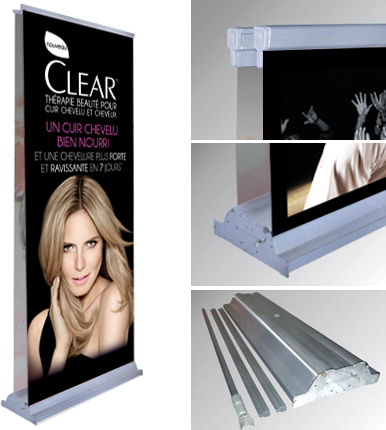 The double sided retractable banner stand allows for graphics on both sides and offers a modern appearance. Sets up within seconds. At just 17lbs the The double sided retractable banner is light enough to carry easily and comes with its own durable nylon carry bag.